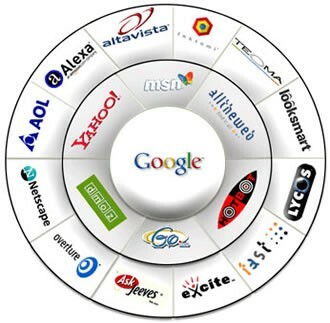 Most search engine optimization (SEO) tasks do not have to be done on a daily basis throughout your entire website. There are a few simple tasks that when done daily can skyrocket your online success by assuring your website is in the best shape possible to attract the favor of the major search engines. If you are unable to do these tasks daily you might want to outsource them or assign the tasks to another staff member. But overall they shouldn’t take very much time out of the day, and will create an amazing return on the time and effort spent. Checking for dead links is a quick and easy daily task from just about any website platform. While checking the links you can also find out of there are any websites linking to you that you aren’t aware if because links from spam sites could indicate negative SEO tactics that will harm your site. Making sure links are live, labeled correctly to reflect the page they point to, and still relevant to the content of you site can be a quick daily task, with more thorough link work done on a weekly or monthly basis. Pay close attention to links that have been added through comments from readers as well to make sure that the only links showing up at your site are to sites that you would not mind referring your customers to, because if they are showing up on your site, it is like you are offering unspoken approval. If you have content writers that post to your website on your behalf, quickly reviewing their posts and making any corrections, adding additional tags, and making sure they are in the right category will help them become more valuable to your site. If you are the sole author to your page, you might just want to check to see if you need to approve or respond to any comments that have come in from readers. Making sure you are timely with responses is important to keep engagement efforts strong at your site. After you have checked your links and responded to comments, take a few minutes to research keywords or keyword phrases for use in your upcoming content efforts. Having a list of the most valuable keywords to use at your site is the best way to create content that is going to offer the highest success. You will find when you, or someone you outsource to spends this little bit of time on daily SEO tasks that your site will start to get higher rankings in the search engines to help with your overall online marketing and sales success.